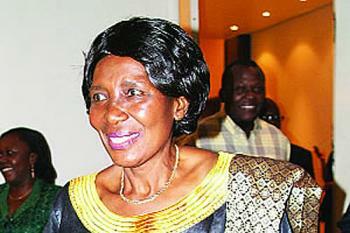 PF government vice-president Inonge Wina is expected to travel to Barotseland to meet the Litunga and his indunas. Mrs Wina’s main mission is to plead and if pleading fails to bribe the Barotse Royal Establishment to allow her or her president Edgar Lungu to officiate at this year’s Kuomboka Ceremony. With Barotse Freedom fighters detained in Mumbwa and other jails, there are indicators that the people of Barotseland do not wish to have officials from Lusaka to president over the only event that brings joy to the Kingdom. Last year, the Kuomboka ceremony could not be held due (official reason given) to the death of the Litunga (King)’s wife Queen Moyo Imwambo. But the real reason was that the local people refused to have late president Michael Sata lead the ceremony. Mrs Wina will also meet local people in her first visit from the time she was appointed vice president. Wina had expected joy and excitement from the people of Barotseland on her appointment but instead the people could not care less. The ululations and praises for her being first woman vice-president in a poverty stricken country came from others parts of the country not Barotseland who saw her appointment as personal achievement. The PF will thus pay people to line up the streets of Mongu to welcome Mrs Wina and give the impression that the whole Barotseland is happy.